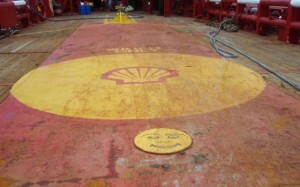 Norske Shell AS have awarded Atlantic Offshore an 18 months ERRV contract to support their drilling operation. Ocean Sky will commence mid January 2013. First and foremost, this proves that Atlantic Offshore are a preferred and reliable partner. Ocean Sky has worked for Norske Shell AS since 2000. We are very pleased to continue this long partnership.